How Much Does a Kitchen Designer Cost? A kitchen is more than just a place to eat. It is often the center of the home, serving as the gathering place for families where everyone can socialize and spend time together. The basic modern layout of a kitchen hasn't changed all that much over the last few centuries, but let's be honest, our kitchens are a far cry from what even our grandparents had. Newer technologies and materials have made enhancements to our kitchen that they could only dream of. But even if you can take some credit for making your kitchen a more efficient and pleasing space, it takes more than just adding a few appliances and some new cabinets to be a kitchen designer. If you are considering a makeover or an upgrade for your kitchen, hiring a professional kitchen designer is a great option to make sure your project goes smoothly and the final results are exactly what you had envisioned for your ideal kitchen in the first place. If you are looking to give an outdated kitchen more than just a facelift, a certified kitchen designer can help you make the most out of your existing space. With industry specific knowledge, the right designer can incorporate beauty, functionality and efficiency. Many people may be willing to offer you a quote for their services but it may not necessarily mean they have the knowledge and expertise to translate your vision into reality. On the other hand, what you may want to achieve and what is actually possible may not be in agreement. The cost to hire a kitchen designer will start to feel worth it once practical solutions and other ways of saving valuable dollars become evident during the initial consultation and design phase. Local kitchen designers will be able to help you get the best bang for your buck, and they also have relationships with manufacturers and suppliers to offer you a more competitive rate on everything. How Much Will It Cost To Hire a Kitchen Designer? Kitchen designers will generally charge a percentage of the total cost of the kitchen project. The industry standard is 10%, but depending on your region and its current pricing trends, it would be best to compare estimates from kitchen designers in your area to get a clearer picture of what you will be paying. According to Remodel Magazine's annual survey, the cost of a new kitchen comes in anywhere between $22,100 and $59,999. This puts the cost to hire a kitchen designer anywhere between $2,000 and $6,000. However, smaller projects can even come in at $10,000 - $15,000, bringing the cost to hire a kitchen designer as low as $1,000 - $1,500. For projects over $100,000, kitchen designers will often charge in the region of 8%, but again, you would be best advised to compare estimates from local contractors to help you figure out what's possible given your budget as there are a variety of factors to consider during this type of project. 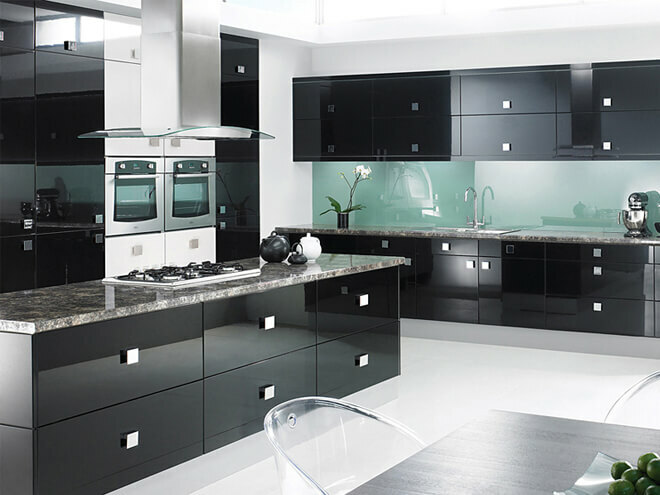 For an extensive kitchen design, you can also consult with your architect, but this will cost more. Generally, architects charge anywhere between 10% - 17% of the project cost. In general, it is recommended that you get at least 3 professional estimates. The advantages of doing this is that you can get a better idea of your regional pricing trends while also getting a personal feel for which kitchen designer will be the best fit for you and your project. By simply entering your zip code in the space provided below, you will be able to connect to kitchen designers in your area who will be able to assist you with a FREE breakdown of their costs. Consulting with a local contractor is the only way to figure out what's possible within your budget and kitchen design, so if you would like to get a FREE localized estimate on the cost to hire a kitchen designer near you, you can do so right now. And remember, there's absolutely no obligation to hire, purchase, or sign any contracts. Simply enter your home zip to get in touch with a local expert. The cost to hire a kitchen designer will depend on several factors. Request a FREE estimate from a contractor near you to get a more accurate idea of what you will be paying.